Artists do what they love because, well, they love what they do. And kids love to play because, well, it’s fun. When creativity, love, and play are combined, you get play art, a fun and beautiful way to introduce children to fine art. 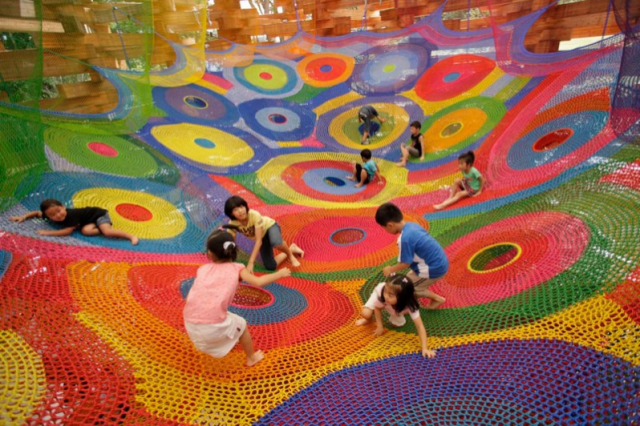 From crochet playgrounds to Playable Art, children everywhere can enjoy the beauty of play art. Most artists and museums do not want you to take photos of their work. Touch their work? Forget it. Play artists, however, create structures, gadgets, and playgrounds meant to be touched, handled, and enjoyed in an interactive way. Play art brings the artist closer to the people examining their work, adding a level of appreciation and intimacy not always achieved by walking through a museum. Ernest Lurker, artist and self-proclaimed founder of the PlayArt movement, has created a pretty cool website where he explains his philosophy behind the importance of play art. He has several quotes by pretty accomplished artists and scientists—Mark Twain, Plato, and Sigmund Freud to name a few—about the importance of play in our lives and society. 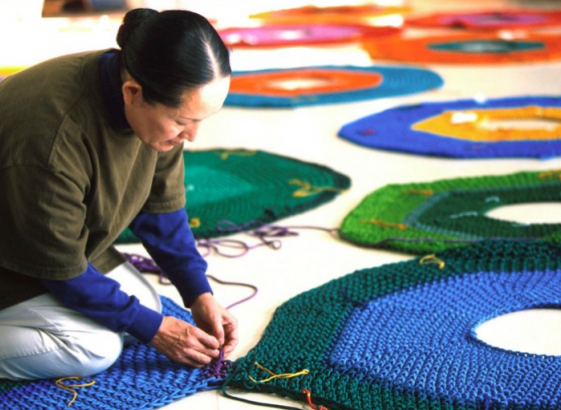 He also showcases many pioneer and contemporary play artists, one of whom is Toshiko Horiuchi MacAdam. 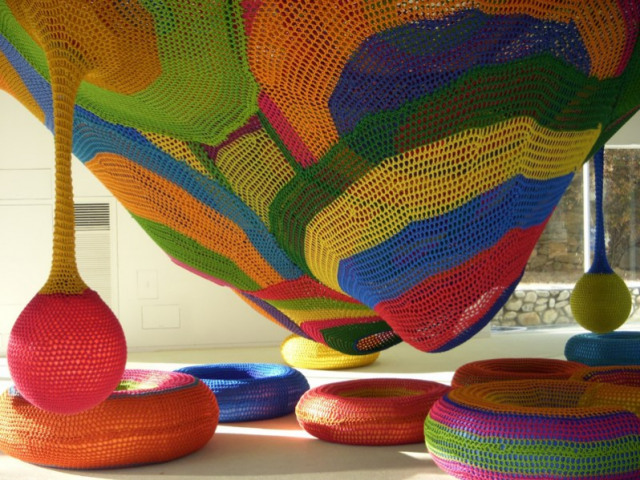 When two young children asked MacAdam, a Japanese artist, if they could play on what looked like a very colorful crochet hammock she was showing at an exhibit, they inspired her to create several playscapes, the first being an enormous crochet playground in Japan. And you thought making a scarf was tough? Check out MacAdam’s portfolio for a little inspiration. She has made artwork exciting and engaging for young students and a sometimes hard to reach audience. 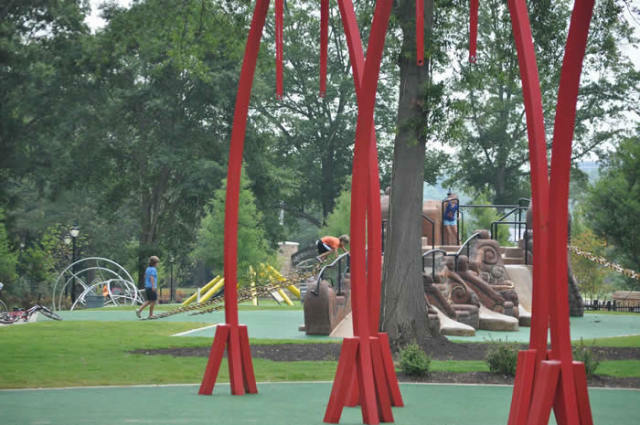 The Playable Art Park opened this summer in Sandy Springs, Georgia. Seven artists created six sculptures designed to be played on and around in what looks like the coolest park in town. Not only does the park add beauty to the town, but it allows kids to indulge in healthy play and the outcome of creative minds. Kids are not just seeing art, they are experiencing it. We cannot all be so lucky to be near a crochet playground or art park, but you can get your young artist started by introducing them to Playable Art. A Playable Art Stick, Ball, or Cube will engage busy minds and hands. 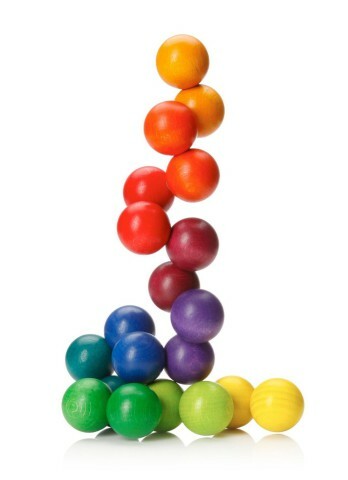 In fact, these toys are also good for fidgety students, unfocused office workers, and patients with Alzheimer’s disease. 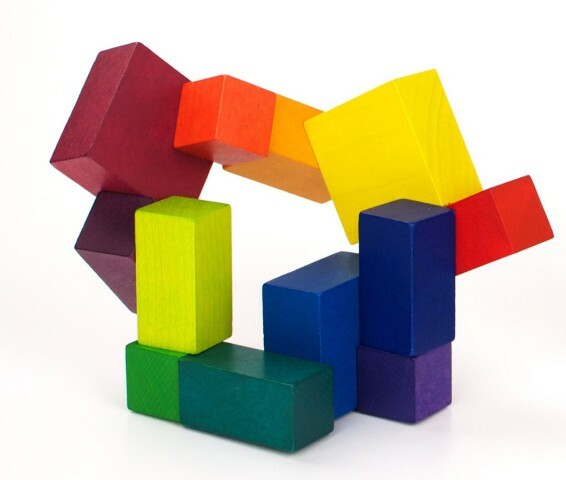 Playable Art toys are made from beech wood and finished with non-toxic colors. They are connected with a durable plastic string—no magnets involved—to bend, twist, and move in asymmetrical and symmetrical patterns. One sculpture leads to the next. Check out Beyond 123 for the full collection of Playable Art. Play art reminds all of us that creativity and play can produce some pretty amazing things. A concept, product, or project starts with an idea and a simple line or word on a piece of paper. The beauty of play art is that it allows all of us to believe we are artists capable of creating something beautiful.